Our session this week started on a high note in the Kibera Girls LitClub. We began with the Hello song and had a few games to set a lively and fun mood for the girls. Once our energy was high, we we launched into discussion about some of the women in the world who the girls admire. Women who have made a difference, women who have inspired and continue to inspire girls everywhere. This week, it was all about empowerment. Being the end of the Olympic season, the girls were in awe of the women who represented the various nations including our very own Kenyan athletes, such as Pamela Jelimo and Vivian Cheruiyot. Another representative that the girls greatly admire is Missy Franklin from America, who made her Olympic debut this year at only 17years old, and won five medals, four of which were gold! We also talked about women in great leadership positions, including Joyce Banda, the current president of Malawi, and Ella Sirleaf, the current president of Liberia. Some of the other women who really stood out were, Michelle Obama, Helen Keller, Venus and Serena Williams, Alek Wek, Pam Allyn, Wangari Mathai, Hillary Clinton and many more. We read their stories and were keen on these women’s dreams, challenges, and successes. The girls were truly captivated and greatly encouraged. 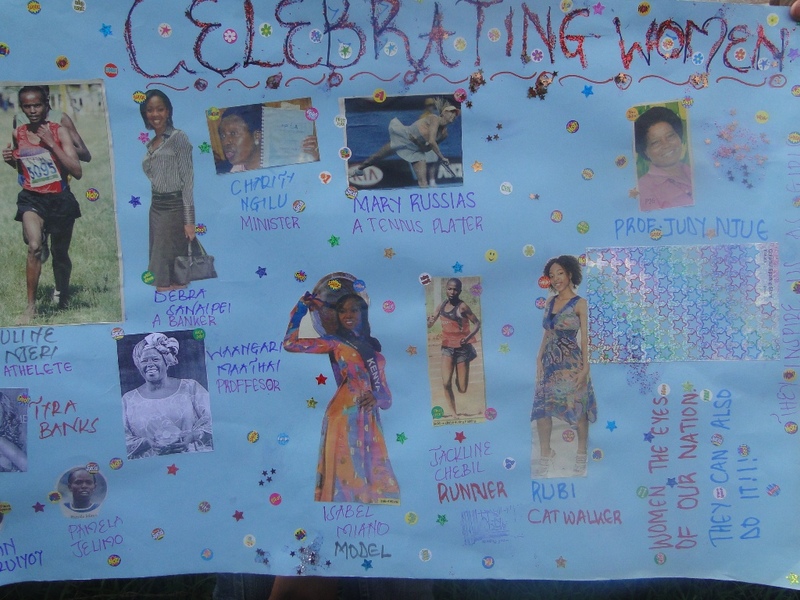 To finish our time together, the girls made beautiful collages to celebrate the incredible women all over the world, who inspire the girls to have the voice, ability, and problem solving capacity to speak up, be decision makers, create visionary change, and realize their full potential. It was truly a beautiful, inspiring and joyous session! Newer PostThe First Ever LitWorld Camp in Kibera!